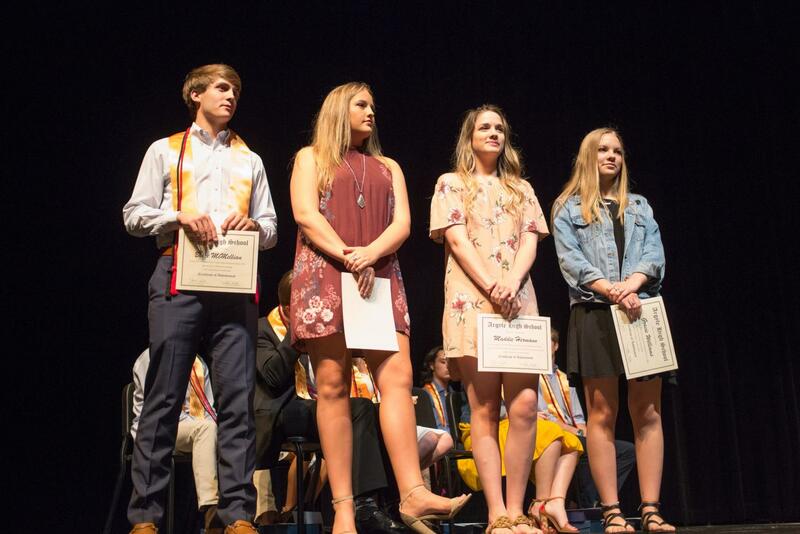 On Tuesday, August 15, Argyle High School hosted its annual awards ceremony to recognize the students who excelled in the classroom and represented the school well throughout the 2017-2018 school year. Students were honored for being a part of a UIL team, earning a class award, and graduating in the top ten percent of their grade. Scholarships were also awarded to many seniors from a variety of sponsors.